In this month, Panama partner commissioned by Venezuela customer visited the Beston Machinery headquarters. Welcome his arrival! Venezuela customer had an interest in Beston waste garbage treatment plant project. They thought this project was advantageous to the environment of Venezuela. At the same time, This project greatly improved the utilization rate of the waste. 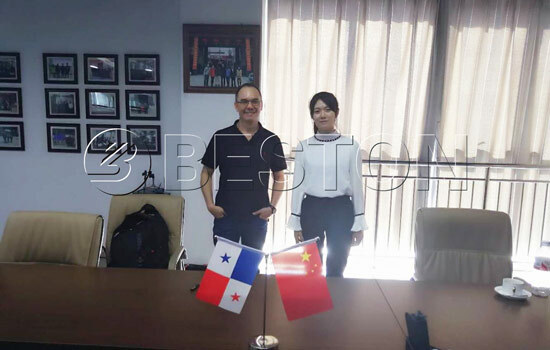 Therefore, they delegated Panama partner to visit Beston Machinery. Panama partner paid a visit to Beston Machinery headquarters. This partner communicated with our business personnel together. Through this exchange, he was impressed by the sorting methods adopted in the trash separation systems. He thought combining several sorting methods was an excellent idea. This sorting system raised the sorting rate enormously compared with other sorting machine. 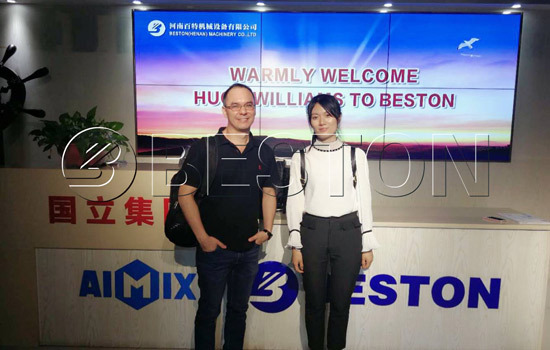 Besides, because Beston sorting machine had PLC, monitoring system and other devices, so he trusted the safety we Beston Machinery guarantee. Then he had an in-depth understanding about the sorting process. The whole sorting process is under the full sealed condition, which is beneficial to the working environment. And the deodorization system effectively deals with the odor in the workshop. All in all, he was satisfied with Beston solid waste management equipment, and discussed plant project with us. We both sides were looking forward to the further cooperation. Of course, any quotation is available for you. Email us right now to get the latest information!